Password Managers have become quite necessary if you don’t want to use the same password everywhere. A lot of people still do that and it is really inviting trouble. But then having different passwords mean you’re more likely to forget them. This is where password managers can help. 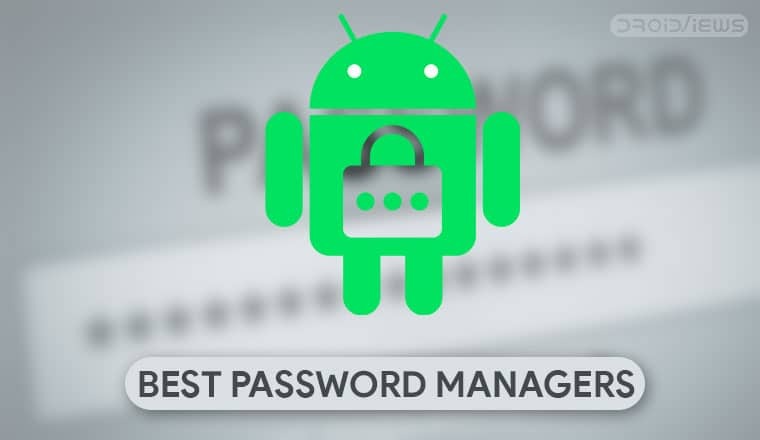 The best password managers on Android are also available on other platforms. 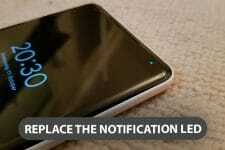 This makes it easier for users to have their passwords available on any device. Using password managers to keep track of all the passwords is also more secure. Because you can then use the most secure passwords for all your accounts without having to remember them. Having your password manager on your Android phone means you take your passwords with you all the time. Here are the 5 best password managers apps for Android. There’s probably not a password manager more popular and heard of than LastPass and for good reason. 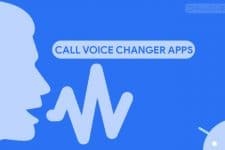 The app was one of the first of its kind and it was also one of the first to offer many features that are today a standard. Unlike other password managers where you have to remember an access key, or a master password, in other words, LastPass uses your email for secondary authentication. It lets you set specific passwords to be visible only to certain people which is great for those using a family plan. LastPass also manages to strike a perfect balance between features and pricing which is why it is as popular as it is. 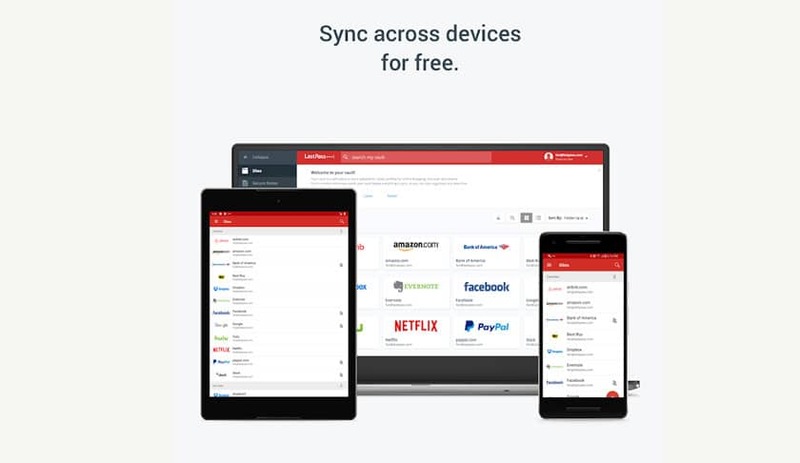 The free version lets you store and sync passwords across multiple devices. That’s enough functionality for most people and you’d have to pay for even that basic functionality on other password managers. The paid subscription service is costlier than some others though. A premium LastPass account costs $24 a year for an individual and $48 a year for families of up to six users. That’s actually worth the cost due to the built-in security challenge. It identifies passwords that have been compromised, that have weak security, passwords that are old and need to be changed or have been used multiple times. For popular social media and email services, it will even let you automatically change them while for others it will redirect you to their website. LastPass is the most popular and one of the best password managers for Android devices. 1Password is easily one of the very best password managers on Android and also elsewhere. It’s a cross-platform service and syncs your stored passwords across multiple devices. It provides browser add-ons for Chrome, Firefox, Safari, Edge, and Opera, so it’ll work on your desktop, too. The Android app also plays nice with the Autofill API which means it can easily pop up to provide you with your account information when needed. If that’s not enough, 1Password can also generate and store passwords and save credit card information. The app will even let you store sensitive documents in case you don’t trust Google Drive or Dropbox with it. For new users, the app is free for 30 days after which you’ll have to opt-in to one of their plans. Plans start at $36 a year for individual users or $60 a year for families of up to five. 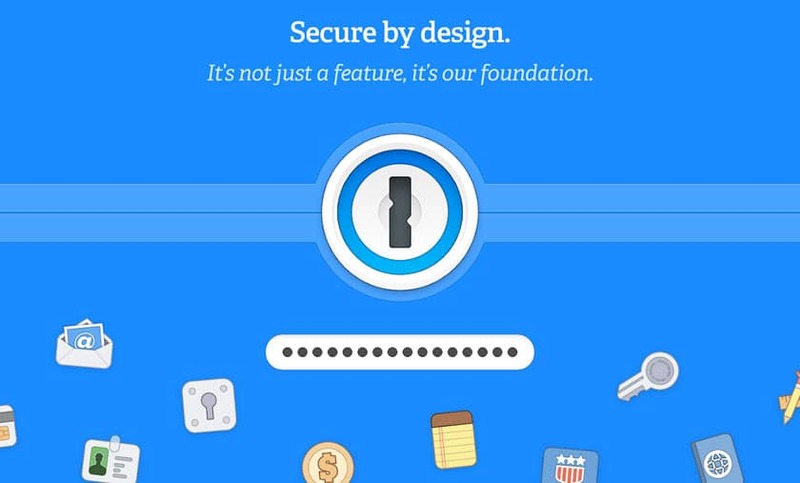 The features of the 1Password make it one of the best password manager apps for Android. Dashlane is another popular choice amongst password managers. The free version offers to store passwords on a single device and doesn’t sync it to the cloud or to other devices. It also has a limit of up to 50 entries. For unlimited password storage and cross-device syncing, you’ll need to buy the $60 a year plan. Like LastPass, this extra cost is justified with more features that you won’t find elsewhere such as a built-in VPN service. There’s also a feature called Dark Web Monitoring which is supposed to let you know if your information turns up anywhere unsavory online. There’s also a $120 per year plan which adds credit monitoring and identity theft insurance over the regular premium features. 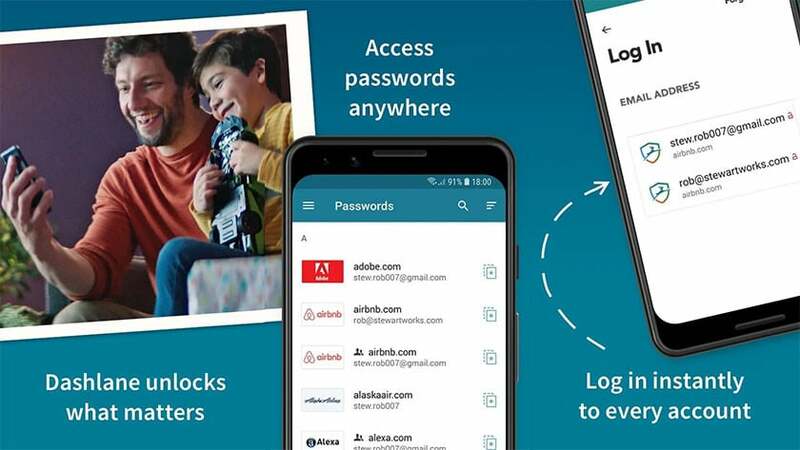 To sum up, Dashlane is one of the best password manager apps for Android. Enpass, one of the best password manager apps out there, is a different kind of password manager in that it doesn’t store the passwords on its servers. The passwords are stored locally on your device(s). That might make you think that there are no syncing options but actually, there is one and it’s probably better. Enpass lets you store your passwords to a cloud storage service of your choice like Google Drive, Dropbox, OneDrive, etc. Except for that minor detail, Enpass works pretty much like the others on this list, offering to generate secure passwords, store them, and automatically fill them. Since Enpass does not store your passwords on its own servers, it does not even ask you to create an account. Without that, the service has no way of knowing you. You could have bought the app on Android but when you install the desktop version, Enpass can’t know you’ve bought the app already on another platform. So you’ll have to buy it again on the desktop, or on iOS, etc. The desktop app for Linux is completely free and includes all the premium features so if you use Linux, you may not have to worry about that. That’s also not a problem at least on multiple Android devices using the same Google account. It helps that unlike other subscription-based password managers, Enpass can be yours forever with a one-time payment of $12. One of the latest entries on the password managers list, RememBear is also amongst the best. Many of you may have heard of the parent company TunnelBear, which is one of the best VPN services around. 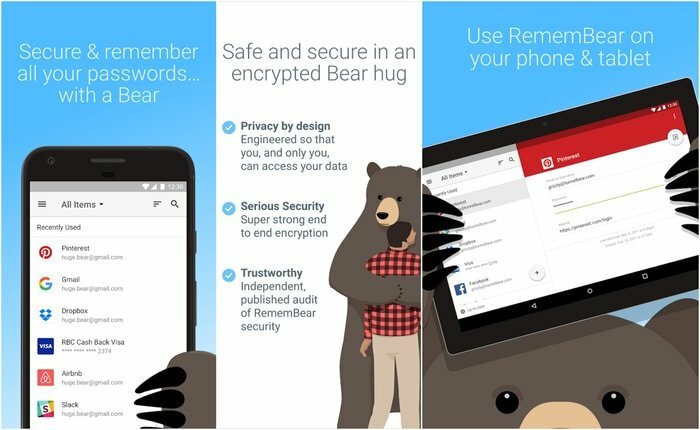 In late 2017, the VPN service debuted their password manager named RememBear. The bear pun was reason enough perhaps. The app is simple to use and beautifully designed. It lets you store as many passwords as you like for free on a device but it won’t back up or sync them. For that, you’ll have to shell out $3 per month or $36 a year for the premium. 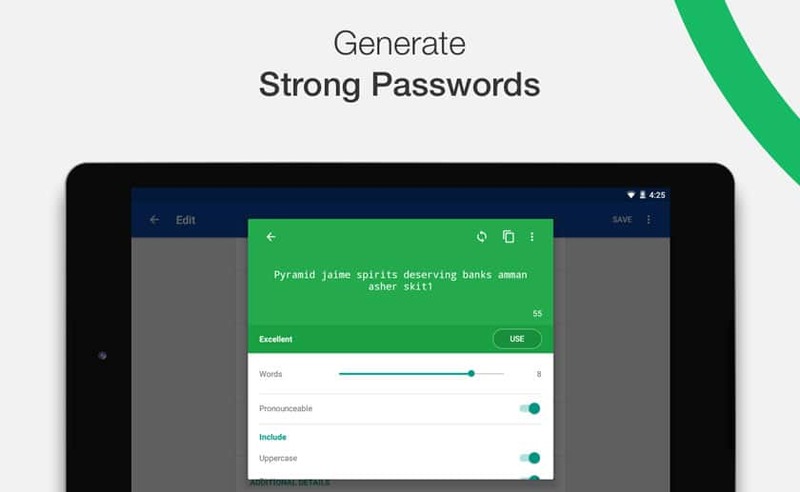 This is one of the best password manager apps available at the Google Play Store.